Who's tracking your Smartphone data? Smartphones are part of everyday life. The sheer volume of information they provide at a swipe is mind-numbing. It’s worth noting the messages you send, the social media platforms you interact with and the photos you capture form only a fraction of the data generated by your smartphone. By monitoring our behaviour and activities, smartphones present a digital profile of our lives. Intelligent technology and sensors in our devices make it easy to track and monitor our behaviour and preferences. Information collected includes location, search history, phone calls and messaging activity along with biometric data such as fingerprint and facial features. Once consolidated, the data generated by your smartphone creates a comprehensive digital profile. Companies, known as data brokers provide information about you as a service. They receive and combine combinations of data elements about you, joining the dots along the way. This data reveals information such as gender, age profile, income levels, education, purchasing preferences and relationship status. Data brokers package and sell this information, sometimes to other brokers, sometimes to businesses, who use the information to target ads to consumers. It's a lucrative industry. Acxiom, a large data broker, reported over $800 million in revenue last year. A recent study found that 70% of smartphone apps share data with 3rd party tracking companies. Many smartphone users install apps without considering the privacy aspects of the app and the permissions explicitly granted, such as access to the photo gallery or the ability to read your communications and capture your location history. It’s so easy to breeze through permissions in order to get the app up and running. Also selecting to save user details and passwords when logging into websites and apps may be convenient but makes it very easy for those accessing your smartphone to do the same. Typically, apps request specific permissions when first opened. You may, however, end up granting apps permissions that go beyond what the app should require. Does the app need to know your location, access your microphone or know your identity? Regularly reviewing app permissions protects against unscrupulous app developers, allowing you to revoke specific permissions. Both Android and iOS platforms enable users to monitor permissions granted to installed apps. Familiarise yourself with this functionality and regularly monitor your apps. If you’re not sure why an app requires a specific permission, check it on Google Play or the App Store. Failing that, contact the app developer directly. 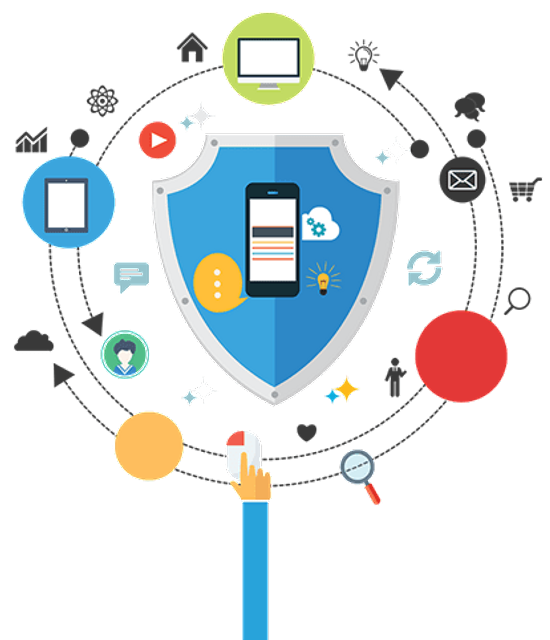 Mobile antivirus and corporate security solutions such as MDM also protect by restricting and monitoring apps as well as filtering traffic to and from your smartphone. So, be careful what you install on your smartphone, review apps already on the device, ensure your device can be wiped remotely if lost or stolen, ensure you keep up to date with recommended software updates and consider the notifications you chose to display on your home or lock screen. Notifications from banking and social media apps may also disclose sensitive personal information. review the apps already on the device, ensure your device can be wiped remotely if lost or stolen, ensure you keep up to date with recommended software updates and consider the notifications which appear on your home or lock screen. Notifications from banking and social media apps may also disclose sensitive personal information.